Bollywood actors always stay in the news because of their new looks and transformations. You must have seen many child actors who are now transformed into an entirely new character. 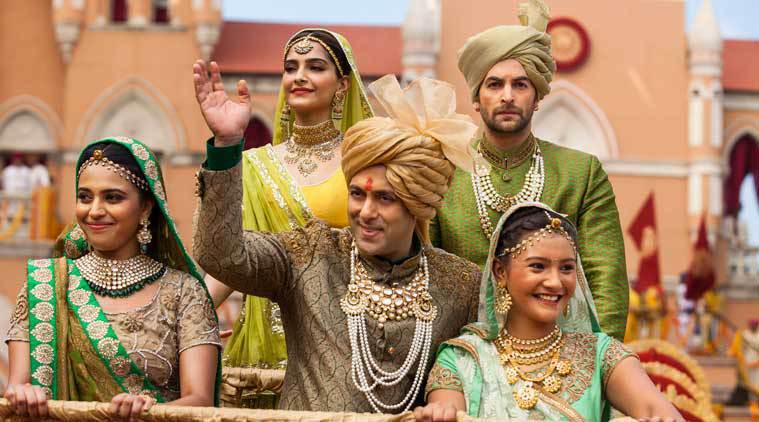 Today, We are talking about Salman Khan’s sister in Prem Ratan Dhan Payo. How can we forget about Salman Khan’s little sister Radhika in this film who was looking too cute and innocent in this movie. She did a pretty good job in Prem Ratan Dhan Payo. Her real name is Aashika Bhatia, and she is now 22 years old. After three years of Prem Ratan Dhan Payo, nowadays this actress is stealing hearts of many young boys with her glamorous photos. This actress has now become the social media sensation and is killing people with her looks. She has around 1.4 Million followers on her Instagram profile which is quite a significant number. Aashika Bhatia was born in Delhi on 15th December 1995. Before coming to Mumbai, she studied in Surat, Gujrat. At the age of 9, she started getting offers for TV serials, and she also had worked in many tv serials ‘Meera’, ‘Parvarrish – Kuch Khatti Kuch Mithi’, ‘Kuch Rang Pyar Ke Aise Bhi’ and ‘Ek Shringar – Swabhimaan’. People started knowing her from tv serial ‘Meera’ in which she did a role of a Meera. Later she becomes more popular with TV show Parvarrish. She had also worked in many episodes of popular V Channel TV show ‘Gumrah: End of Innocence’. Aashika Bhatia is also known as Musical.ly Queen on social media. She has around 3.3 Million followers on Musical.ly which is a more significant number than her Instagram followers. She has completely transformed in these few years and became the internet sensation. Her most of the videos and pictures went viral in few seconds. She has followers more than most of the Bollywood actors which is quite a big deal. Aashika Bhatia has made her presence on social media by herself from zero to this significant number which is like an inspirational thing. There are also rumours that we can see her again in upcoming Bollywood movie soon.